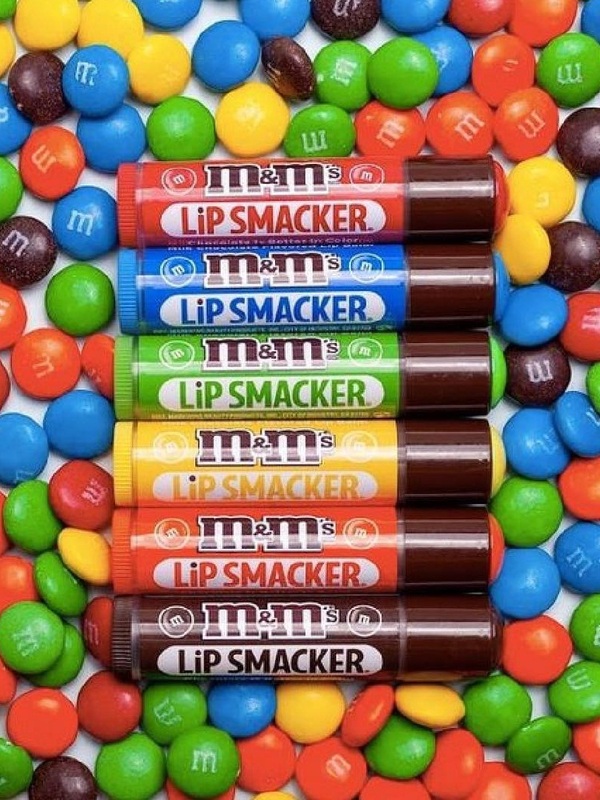 Your favorite M&M's Brand Chocolate flavored lip balm perfect for collecting and sharing! 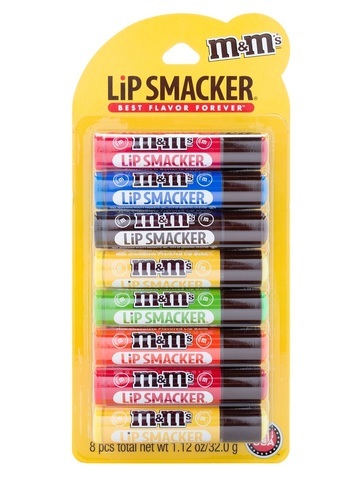 Moisturize and soften lips with lip smackin' flavor and shine. Give 'em, Collect 'em, Share 'em! Ricinus Communis (Castor) Seed Oil, Cetyl Acetate, Beeswax/Cire D'Abeille, Euphorbia Cerifera (Candelilla) Wax/Cire de Candelilla, Flavor/Aroma, Polybutene, Paraffin, Sesamum Indicum (Sesame) Seed Oil, Copernicia Cerifera (Carnauba) Wax/Cire de Carnauba, Hydrogenated Soybean Oil, Mineral Oil/Huile Minrale, Propylene Glycol, Acetylated Lanolin Alcohol, Microcrystalline Wax/Cire Microcristalline, Triticum Vulgare (Wheat) Germ Oil, Stearic Acid, Sucralose, Stevia Rebaudiana Leaf/Stem Extract, Propyl Gallate, Citric Acid. 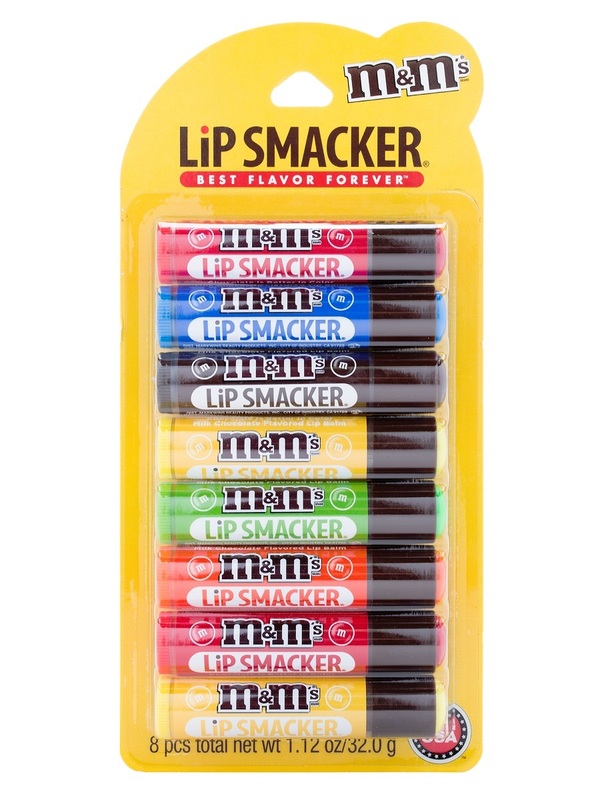 May Contain/Peut Contenir: Blue 1 Lake (CI 42090), Iron Oxides (CI 77491, CI 77492, CI 77499), Red 6 Lake (CI 15850), Red 7 Lake (CI 15850), Titanium Dioxide (CI 77891), Yellow 5 Lake (CI 19140).